Please help Mr. Rogan Romel get his TVS Scooty again. 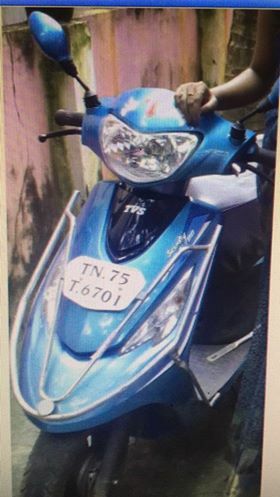 His scooty was stolen by someone in karungal market, Kanyakumari around 2.00 PM on 22-07-2017, Saturday. Please spread this word by sharing this post and help Mr. Rogan Romel identify his vehicle.